An action-packed nine months lie ahead at Birmingham's Town Hall and Symphony Hall. An action-packed nine months lie ahead at Birmingham&apos;s Town Hall and Symphony Hall. Christopher Morley gives us the score. Symphony Hall still has a few tricks up its sleeve during this second half of its 21st anniversary season, including Bryn Terfel joining Andris Nelsons and the CBSO for a programme including Elgar and Puccini (June 12 and 13); Sir Simon Rattle with the Vienna Philharmonic Orchestra in Brahms, Webern and Schumann (June 16); and Opera North bringing ‘Die Walkure’, the latest instalment of its extraordinary Wagner ‘Ring’ cycle on June 30. But we can now already look forward to a richly-generous 2012-13 Birmingham International Concert Season at Symphony Hall and its venerable older sister, Birmingham Town Hall, with plans recently announced for an action-packed nine months. A major thread running throughout the season is a joint celebration with the CBSO of the music of no less a colossus than Beethoven, with a complete cycle of the symphonies as well as a whole host of works from other genres. The CBSO and Andris Nelsons take charge of the symphonies, but there are contributions elsewhere from other giants of the musical stage. 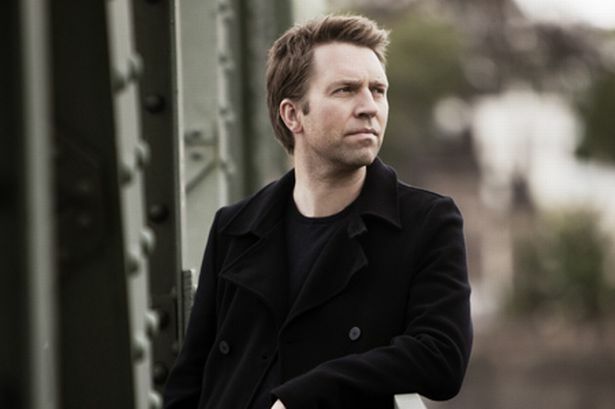 A great Birmingham favourite, the Norwegian conductor Leif Ove Andsnes directs the Mahler Chamber Orchestra from the keyboard in Beethoven’s Piano Concertos nos.1 and 3 (November 20), and he returns on March 26, this time with the Gustav Mahler Jugendorchester, for the poetic Fourth Concerto. Herbert Blomstedt conducts here, completing the programme with Bruckner’s evocative Fourth Symphony. Beethoven’s Fifth Piano Concerto, the ‘Emperor’, brings the exciting pianist Helene Grimaud in collaboration with the Czech Philharmonic Orchestra, Jiri Belohlavek (recently ‘gonged’ for his contribution to British music) also conducting his compatriots in two of their country’s greatest works, Smetana’s ‘From Bohemia’s Meadows and Forests’ and Dvorak’s Seventh Symphony (April 12). Where’s the missing Second Concerto? Don’t panic - this delightful, shamefully under-rated work is given under the capable hands of Angela Hewitt when she is joined for an early-evening concert at Birmingham Town Hall on January 13 by the Britten Sinfonia. Angela Hewitt is also amongst the glittering array of pianists performing Beethoven piano sonatas during the season, in her case on April 21 at the Town Hall. Others include Symphony Hall favourite Evgeny Kissin on November 15, Steven Osborne on March 5 (his recital beginning extraordinarily generously with Schubert’s posthumous B-flat Sonata), Brant Piano Competition-winner Jayson Gillham at Birmingham Town Hall (lunchtime, also March 5), and Stephen Kovacevich, with Brahms as a generous bonus (Birmingham Town Hall, March 14). Benjamin Grosvenor provides a lunchtime taster on that day, but there’s no Beethoven on his menu. Benjamin Britten’s centenary is another theme for the season, including a Britten Discovery Day on January 12 at the CBSO Centre before moving to the Town Hall in the evening for a concert of his choral music from Ex Cathedra under Jeffrey Skidmore. Town Hall is also the venue for Britten’s Thomas Hardy settings ‘Winter Words’, preceded by twelve songs from Britten’s beloved Schubert song-cycle ‘Die Winterreise’. Ian Bostridge is tenor soloist, accompanied by Julius Drake (January 16). Ex Cathedra return to Symphony Hall for their Good Friday (March 29 next year) afternoon performance of Bach’s ‘St Matthew Passion’, a sequence interrupted last Easter for the Mariinsky Theatre’s unforgettable ‘Parsifal’ conducted by Valery Gergiev. And there is plenty of opera, and not only Wagner, in the forthcoming season. Handel’s ‘Radamisto’ comes to Town Hall on February 8, Harry Bicket directing The English Concert. We can get revved up for that by the Choir of King’s College, Cambridge ‘Messiah’ on December 14, Stephen Cleobury conducting. More baroque opera comes on May 12, when soprano Carolyn Sampson returns to her old Ex Cathedra stamping-ground for a musical biography of the colourful 18th-century Parisian diva Marie Fel, muse and much else to so many of the composers connected with the court of the Sun King, Louis XIV. Jeffrey Skidmore directs this Town Hall concert. May 31 brings us back across the English Channel for what promises to be a fascinating presentation of Purcell’s ‘King Arthur’, Philip Pickett conducting the New London Consort and Oliver Cotton playing the part of Merlin, prime mover of all these enchanted events. At the other end of the operatic scale we can look forward to two giants as the end of the season approaches. Opera North’s ‘Ring’ continues with ‘Siegfried’ on June 22, before we wrap up proceedings with a welcome return of Sir Antonio Pappano’s Royal Opera in Verdi’s brooding ‘Simon Boccanegra’, set in the medieval republic of Genoa which rivalled Venice in power. Thomas Hampson, no less, takes the title role (July 7). And there are so many one-off events spilling out of the box of delights, goodies such as a Town Hall recital from pin-up operatic star Danielle de Niese; Shostakovich’s ‘Leningrad’ Symphony ftom the St Petersburg Symphony Orchestra resident in that city; the Vienna Boys’ Choir; Joshua Bell playing the Brahms Violin Concerto; Riccardo Chailly conducting the Leipzig Gewandhaus Orchestra in Rachmaninov’s Second Symphony; Dame Gillian Weir exploring 400 years of organ music as part of her retirement tour; Haydn, Beethoven and Shostakovich from the Belcea String Quartet in a Town Hall mini-residency; and ‘Radio Rewrite’, a new work by minimalist master Steve Reich. The season begins with a screening of Eisenstein’s classic silent film ‘Battleship Potemkin’, accompanied by Michael Nyman and his band giving the UK premiere of Nyman’s new score. And over a year from now the season moves towards its end with another film classic, Stanley Kubrick’s ‘2001: A Space Odyssey’, its memorably-chosen music performed live by the Philharmonia Orchestra and Ex Cathedra, the choir staying behind for a late-night performance of Alec Roth’s exciting and resourceful ‘Earthrise’, unaccompanied and written for 40 vocal parts. The Philharmonia returns next day in this “Universe of Sound” weekend with Holst’s ‘The Planets’ conducted by the much-loved Vladimir Ashkenazy. Detailed scrutiny of the 2012 - 2013 season, cross-referencing with other prospectuses for the same period, reveals a close collaboration between several of Birmingham’s music organisations, perhaps more so than in the past. This pragmatic approach to a situation in which finances are diminishing, whether as a result of funding cuts or the shrinking amount of spending-money in people’s pockets, is a heartening sign that the Birmingham musical hub is in healthy, defiant form. The Birmingham International Concert Season comes wrapped in a whole host of money-saving packages, with all kinds of fringe benefits for people booking as few as six concerts, and the more concerts you book, the more you save. * Details are on www.thsh.co.uk and 0121 345 0601. Concert-package booking is open now, general booking opens on May 28.